Preview does not show the picture squares and is not polished like the downloaded copy. If for some reason your download looks just like the preview and you are not pleased with it, please contact me. 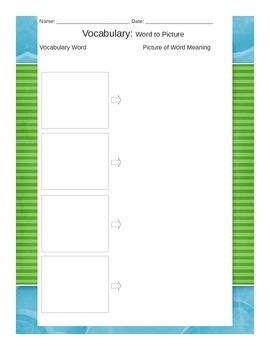 •	These resources can be used in a variety of lessons including whole group instruction, literacy or word study centers, or as I use them, for small group special education.